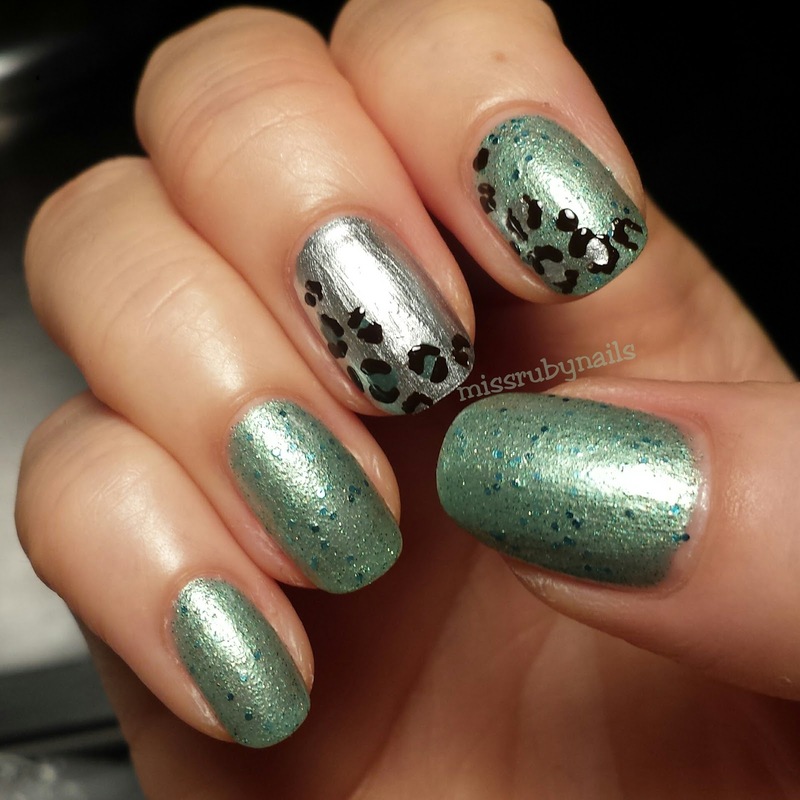 Here's a shiny metallic green and silver with offset leopard print! These turned out to be quite soft and neutral looking. 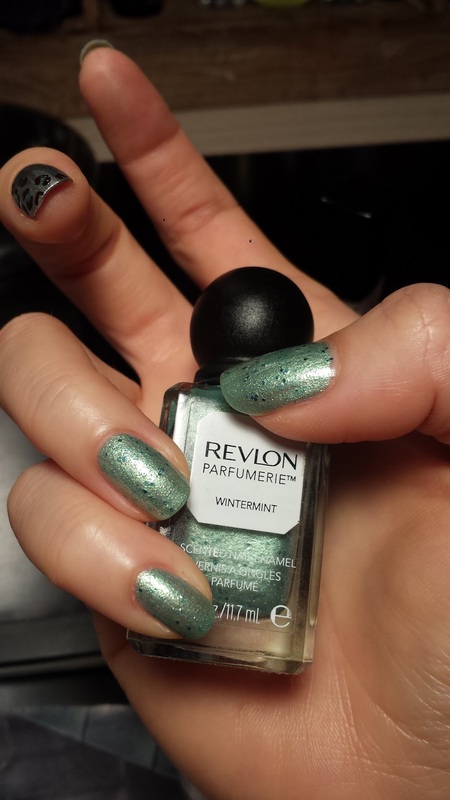 The green is by Revlon from their Parfumerie line which has a hint of mint scent. 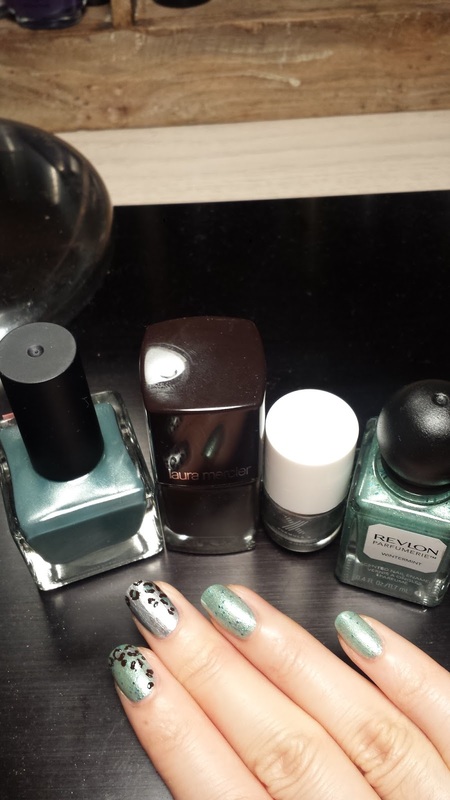 It is a metallic soft medium green with some shiny round green glitter in it. It is quite sheer and would definitely need at least 2 coats to achieve this color. I painted another green underneath to make sure I could get a solid color. I used a silver polish on the middle finger just to have a little variety. 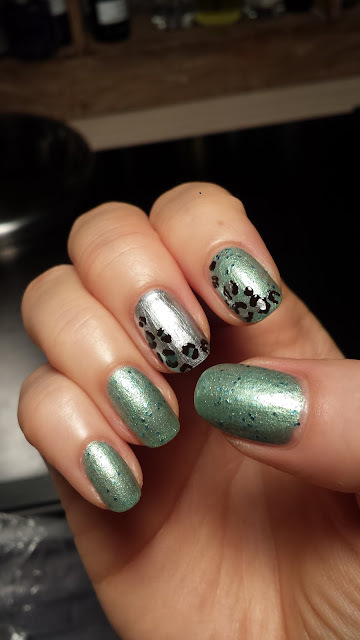 On that finger, I drew some leopard print off to one side with the same green polish. On the index finger, I used the silver polish to make the random leopard dots so there's a matching contrast. Then I used a dark brown polish with a small brush to messily outline the leopard prints. I used a dark brown instead of a black because I wanted a more neutral tone finish. Click HERE for another recent leopard manicure!